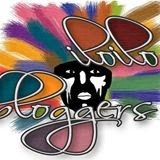 Click this New 7 Wonders website. Click "South East Asia & Oceania" violet box. Type the correct text provided at the right side of the site. Tick the I agree to terms and condition box. Voting is until September 7, 2013. The qualification phase runs from March 7- November 23 while the shortlist of 28 official finalist candidates will be known on November 23-December 6. The finalist phases of Top 21, then Top 14 and down to Top 7 are set on December 7, 2012-December 6, 2013. The official new7Wonders will be announced on December 7, 2013. Please share this campaign to all your family and friends! 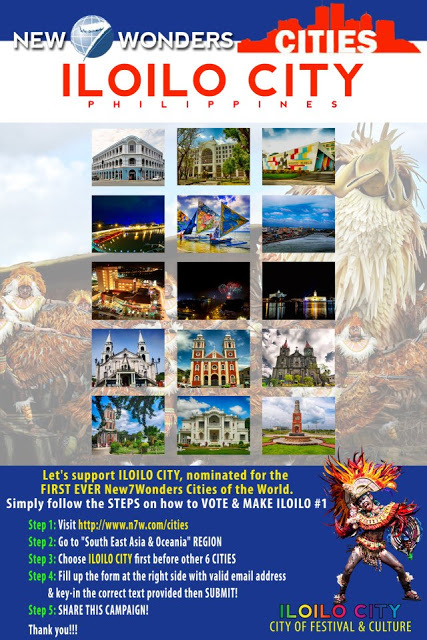 Let's all support and vote Iloilo City.